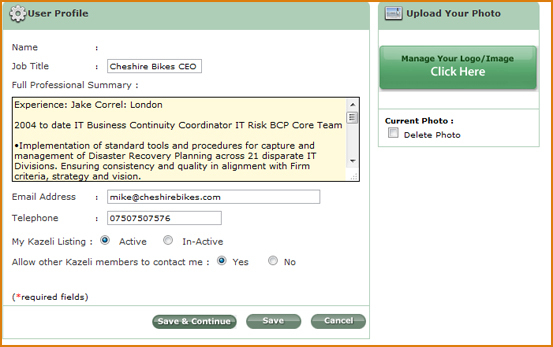 With the Team Members section, you can list details about team members within your organization. 1. 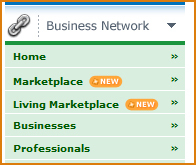 From the side navigation, click on BUSINESS NETWORK. 3. Click on the TEAM tab. Now you can view a complete list of all team members currently listed for your organization, with your own profile at the top. Your position within the organization. Enter your full professional details here. This can include anything you want it to include: Current position description, past experience, skills, etc. Select INACTIVE to hide your professional profile, or ACTIVE to show it. If YES is selected, Kazeli users who view your profile will have the option of sending you a message or email. 1. In the pop-up window, drag the image into the box or click BROWSE to locate the file on your computer. 2. In the pop-up window, drag the image into the box or click BROWSE to locate the file on your computer. 3. When the upload is finished, close the pop-up window and click SAVE. 4. 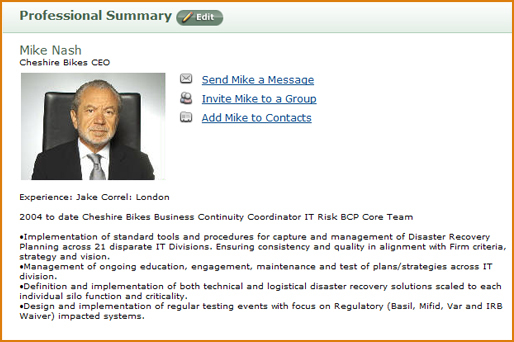 Your image will appear at the top of your professional profile. 2. Drag the file into the box provided or click BROWSE to locate the file on your computer. 3. When the upload has finished, click on REFRESH LIST to see the images in the current photos list. 4. You can preview an image by clicking once on the image and then click on VIEW. To remove an image, click once on the image name and then click DELETE. 5. 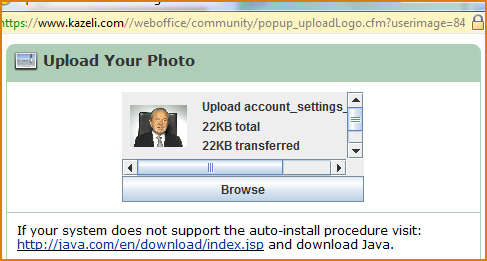 Your profile image gallery will appear at the bottom of your professional profile.